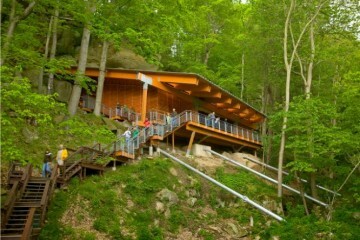 Courtesy Meadowcroft Rockshelter and Historic Village. Noon – 5 p.m. & 1 – 5 p.m.
Our region claims some of the most innovative inventions in history — from the Polio vaccine and Ferris wheel, to the Big Mac and air brake. But did you know that Western Pennsylvania is also home to the oldest site of human habitation in North America? 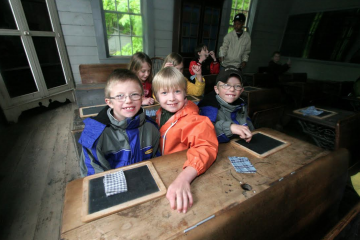 Travel through 16,000 years at Meadowcroft Rockshelter and Historic Village. Marking its 50th year as an international destination for archaeologists and tourists alike, the National Historic Landmark is hosting an opening weekend celebration packed with engaging activities. Step into a 16th-century Monongahela Indian Village and experience what life was like for inhabitants of the Upper Ohio Valley in the 18th and 19th centuries. 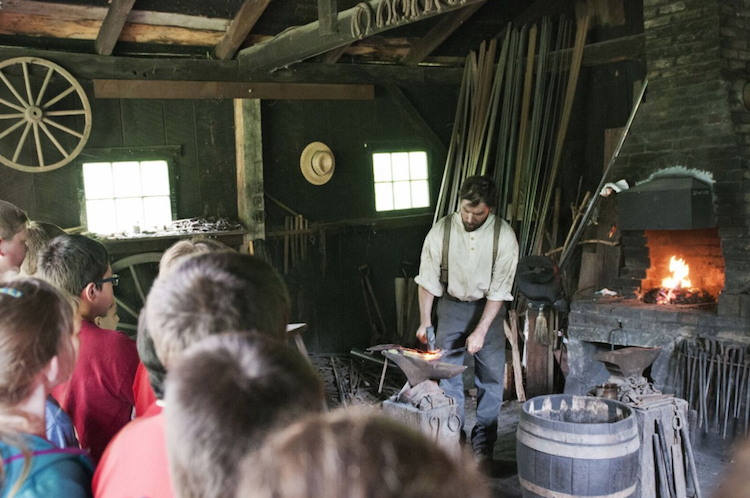 Stroll across Washington County’s oldest covered bridge, watch a blacksmith forge red-hot iron and enjoy lessons in a one-room schoolhouse. Use a prehistoric atlatl to throw a spear, see laundry demonstrations and sit inside a wigwam. Learn about the site’s fascinating discovery, which began when farmer Albert Miller stumbled upon a prehistoric American Indian artifact in 1955.